In 2018 we made the move to Life's Abundance Dog Food from Hill's Science Diet and the results have been phenomenal. Life’s Abundance is holistically balanced and provides the nutritional harmony that’s important to help our dogs achieve and maintain optimal health. Our puppies have had better gains in growth on less amounts of required food. The older dogs have enjoyed it too showing nicer coats, and finish their food quicker so I know they enjoy the taste. 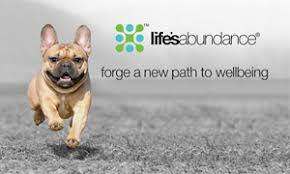 To Get Your Dogs Started Contact Me Today or visit the link below.